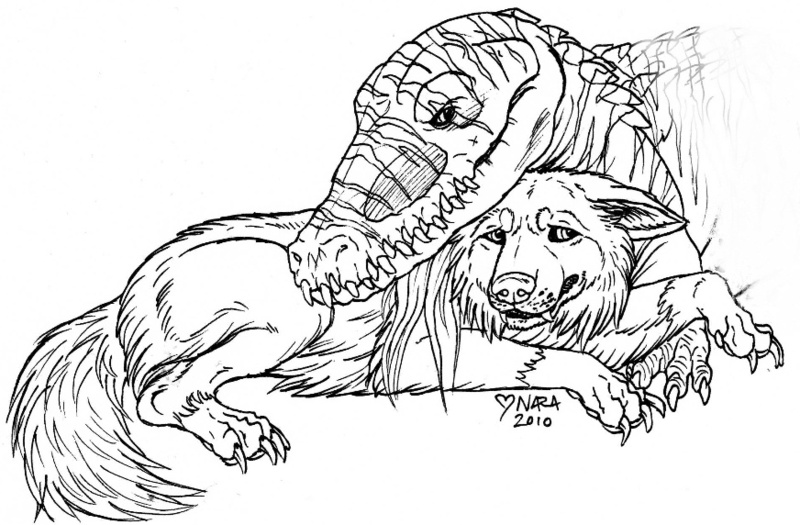 Nara (the wolfdog) and her spirit guide Luxifera (the crocodile). I was depressed for a whole year, cried every night. My self-esteem was high but I felt the world had nothing to offer. Sometimes I still feel that way, but not as much as I used to. That era is long gone in my life now but it still haunts me. During that year I listened to U2's album All That You Can't Leave Behind all the time, the album is all about leaving a chapter in your life behind, arriving to new places (that's why they used aeroplanes and suitcases as symbols in the cover and tour) and healing old wounds. The lyrics and melodies gave me solace. It is not the best album in the world, the songs are not the best in the world, but to me they are the most important. Helped me to survive.